It’s arrived! Discover how to harness the tactical advantages of the 4-2-3-1 so your team can attack with more pace and penetration and replicate the playing style of the elite sides. Attacking in the 4-2-3-1 combines a tactical guide full of drills to improve your tactical understanding and technique at scoring goals in the formation taking over elite soccer. The 4-2-3-1 is rapidly spreading to elite sides all over the world. Borussia Dortmund, Arsenal and Bayern Munich now all use this formation to create complex attacking moves that bamboozle defenses and enable them to score goals in abundance. If you’ve ever wanted your players to open up space like Sergio Busquet and Messi, to find killer passes like Neymar or to get the ball to the forwards like Ozil, you can discover how in this special book. 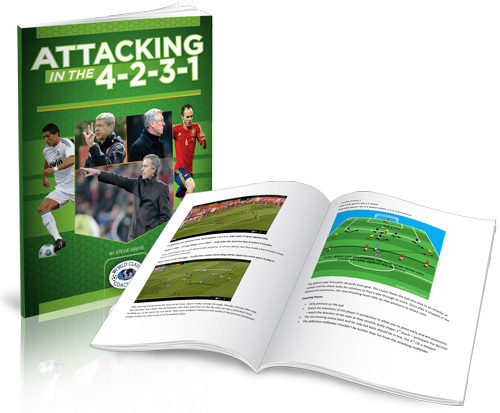 Attacking in the 4-2-3-1 provides a complete guide to harnessing one of the most popular formations in elite soccer. The first half provides a tactical analysis, with screenshots of real games used to explain how to attack in transition, how to attack against the grain, getting the ball into the box from the sides and all the other tactical aspects of attacking in the 4-2-3-1. This is followed up with an extensive collection of drills you can use to develop the mindset and technique your players need to harness the formation to its full goal scoring potential. Order now and you could be reading all this information in minutes. So if you want to improve the creativity and decision making of your players and score more goals from areas all over the final third, Attacking in the 4-2-3-1 shows you how. This is part of our “Quick Guide” series of eBooks, designed to be short and sweet and an easy read with each eBook focusing on a specific topic. 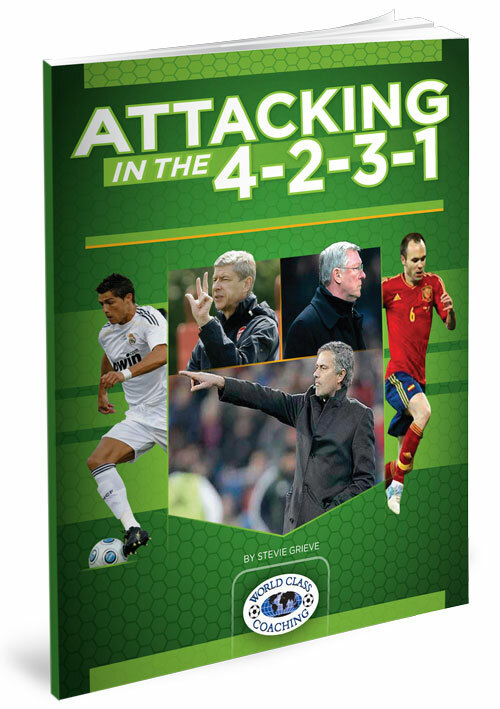 This eBook gets right to the point of attacking in the 4-2-3-1, and because it is a quicker read than a traditional size book, we are able to offer it to you at less than half the regular price. The 4-2-3-1 has been hailed as the natural successor to the 4-3-3. 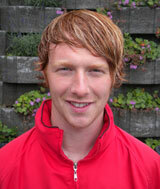 It adopts the 4-3-3’s flexibility, attacking instincts and fast passing style and then takes them to the next level. It’s no coincidence that three of the semi finalists in Euro 2012 all play with the 4-2-3-1 along with two of the most dominant sides in club soccer, Bayern Munich and Manchester United. To harness the 4-2-3-1’s tactical advantages, your players need to become familiar with where to play the ball in certain game situations. In other words, you need to develop patterns of play which will help your players to make better decisions while also providing scope to use their creativity. Attacking in the 4-2-3-1 shows you exactly how to develop these styles of play. Along with showing you how the elite players, like Xavi, Benzema and Messi, play in the 4-2-3-1, it is packed with training drills to develop a more creative, intelligent and tactically savvy team. When combined, this book shows you how to develop a more fluid style of play with a team that knows where to play the ball and how to create attacks in abundance in this highly dynamic formation. Attacking in the 4-2-3-1 combines an analysis of how the elite teams play in the 4-2-3-1 with an extensive selection of drills and exercises. All of the drills have been handpicked to develop your players’ tactical awareness and decision making when attacking the goal. The first half of the book focuses on the 4-2-3-1’s tactical aspects. It starts by looking at what players need to be dong in the four phases of possession for building attacks. Grieve then analyses how Borussia Dortmund, one of the World’s best pressing teams, counter attacks after regaining possession. Attacking in the 4-2-3-1 then looks at attacking against the grain, with real game footage of how Sergio Busquet and Messi of Barcelona are able to open up space and eliminate opposing players with their body positioning and pressure. Next the book assesses how to attack through the sides with inverted wingers making diagonal runs, like Oscar, Paulinho, Fred and Alves. Finally, the tactical analysis half of Attacking in the 4-2-3-1 looks at how to get the ball to the number 10 with defense slicing through balls from the midfield. Along with screenshots of Ozil’s passing style, Grieve uses Brazil Vs Japan to show how midfielders can make space for players to receive the ball in penetrating positions. The second half of Attacking in the 4-2-3-1 features pages of drills and small-sided games for attacking from different areas of the pitch. Detailed diagrams are provided for each drill along with coaching points and progressions for increasing the intensity and challenge for players. Some of the skills developed include combo passes for opening space from the side, wingers penetrating from deep, finding the striker against defensive pressure and finding pockets of space between the lines. The 4-2-3-1 is one of the most devastating formations in modern soccer. It’s the formation of choice for elite sides wishing to play highly creative, attacking style of soccer. If you want to replicate the way they play, you need to be able to familiarize your players with systems of play that enable them to instinctively know where to play the ball while also giving them the freedom to express their creativity. The 4-2-3-1 is fast replacing the 4-3-3 as the formation of choice for elite sides. If you want to improve your team’s ability to create goal scoring opportunities in abundance, Attacking in the 4-2-3-1 shows you how. Whether you coach elite players or recreational sides, the insights and drills in this book will both improve your coaching knowledge and your team’s goal scoring record. WORLD CLASS COACHING is recognized globally for the quality of its soccer coaching resources, which are used by over 40,000 soccer coaches from around the world. We wouldn’t be offering you Attacking in the 4-2-3-1 unless it achieves our exceptionally high standards. 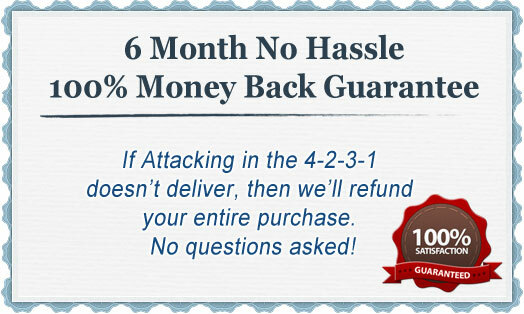 However, if you are not 100% satisfied with the quality of Attacking in the 4-2-3-1 after six months then please contact us for a no quibbles refund. Watching Messi, Ozil and Sergio Busquets finding killer passes that slice through defenses and create endless goal scoring chances can be mesmerizing stuff. You might wonder whether you can ever replicate their fluidity and quick decision making in your own team. But the fact is that their sleek goal scoring moves are created as a result of hours on the training pitch. Now you can discover how to provide this level of training to your own team from reading this special book focused on playing like the elite sides. Attacking in the 4-2-3-1 covers all the tactical aspects of attacking in this modern formation. It shows you how to attack in transition from high pressure defending, how to attack against the grain, how to use inverted midfielders to get the ball to the number 10 and much more. It’s also packed with drills for developing the mindset and decision making your players need to attack in the 4-2-3-1 effectively. Everything is covered, with real game screenshots, detailed diagrams and coaching notes to ensure you get the maximum value from this book. So if you’d like to improve your team’s pace, creativity and penetration, Attacking in the 4-2-3-1 shows you how to adopt the modern game’s most dynamic formation and score goals like the elite sides. P.S. Attacking in the 4-2-3-1 shows you exactly how to replicate the attacking moves of the elite sides, such as Bayern Munich and Manchester United. Packed with an analysis of how the elite players score goals, using real game screenshots, and an extensive array of drills, Attacking in the 4-2-3-1 is your complete guide to developing a more creative, fluid and more penetrating side. P.P.S If you are not 100% satisfied with the quality of the soccer coaching resources in Attacking in the 4-2-3-1 after six months then we will refund your purchase in full, no questions asked.